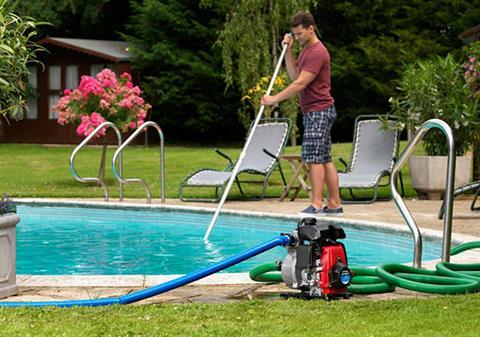 Extensive selection for irrigation, flood control, light construction, pool draining, and more. PERFECT FOR HOMEOWNERS, GARDENERS, BOAT OWNERS, AND MORE: The WX15 is lightweight, compact, and easy to use. 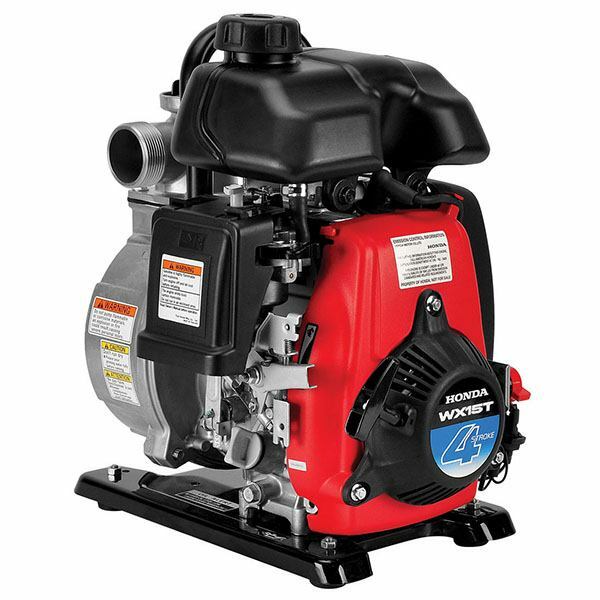 EASY STARTING HONDA MINI 4-STROKE COMMERCIAL ENGINE: The durable Honda GX series commercial grade engine is easy starting and provides ample power for the toughest conditions. 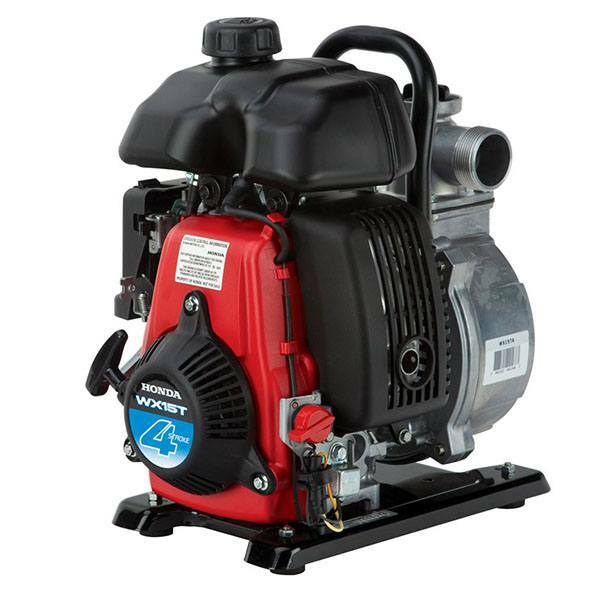 LIGHTWEIGHT ALUMINUM PUMP: At only 20 lb. , the WX15 is easily portable. STANDARD TRANSPORT HANDLE: The WX15 is easy to carry wherever you need it. PROTECTED BY HONDA OIL ALERT®: Protects the pump by shutting the engine off when low oil is detected. 120 sec. @ 16.4 ft.